Prosecutors in the Jussie Smollett case opted to offer the maligned Empire actor an alternative disposition sentence of community service and the forfeiture of his $10,000 bond in lieu of prosecuting Smollett on 16 counts of felony disorderly conduct. Smollett stood accused of faking a hate crime against himself. Chicago police reportedly began investigating the event as an assault, but the two men who stood accused of the crime claimed Smollett hired them to beat him up. Chicago police then turned their attention to Smollett claiming that his motive for staging the attack was that he was unhappy with his salary on Empire. Smollett, who is black and gay, earned the ire of just about everyone after evidence came pouring in that the hate crime was staged. Those who were victims of hate crimes denounced Smollett as drawing attention away from a legitimate issue and tinging it with a veneer of doubt. Indeed, the conversation concerning race-related assaults and homicides shifted toward how many of those were fake. Social media pundits seemed to latch onto the event as vindication that the entire dialogue concerning hate crimes is flawed. Then, after the 16 felony counts against Smollett were dropped, the conversation shifted toward the price of justice in America and how those with money can buy their way out of trouble while those without are forced to stand trial for similar crimes. In other words, it was a departure from the narrative that the courts convict black defendants at a higher rate while giving a pass to white defendants for the same crime. The dichotomy shifted to rich versus poor. In response to outrage that the prosecution was giving Smollett a free pass, the DA’s office responded that alternative dispositions were common in a number of criminal cases. 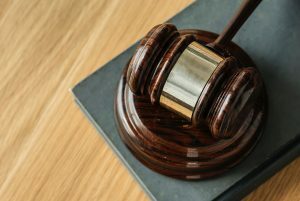 While it is true that alternative dispositions are available in criminal cases, it is rare that the defendant can simply pay a fine or do community service in order to make restitution to the state. This is especially true when that defendant faces 16 felony counts. Typically, non-violent felons can be allowed to enter the Offender Initiative Program. Under this program, the defendant faces a probationary period during which he or she is not allowed to violate any law, carry a firearm, or other discretionary stipulations ordered by the judge. In a case like Smollett’s, it would not be unusual for the judge to order psychiatric counseling. Felony disorderly conduct is charged when an individual knowingly submits a false police report. In other words, the prosecution would have needed to prove that Smollett set the whole thing up. In this case, they would have relied heavily on the testimony of the two men who were allegedly paid by Smollett to perform the assault. A good criminal defense attorney would have had an easy time punching holes in their narrative. So the sentence does not seem as unreasonable as it might.